It seems to be a common problem in recent years of the STFM not being able to sync correctly on a TV or monitor. I have seen several machines over the past couple of years suffering with this problem and it took a while to track down. A example of this sync issue normally arises upon boot where the white background is flashing all sorts of crazy black,but this can also happen on the desktop but seems less common. A example of this video sync issues can be found in the video below . There seems to be 2 issues at work here. 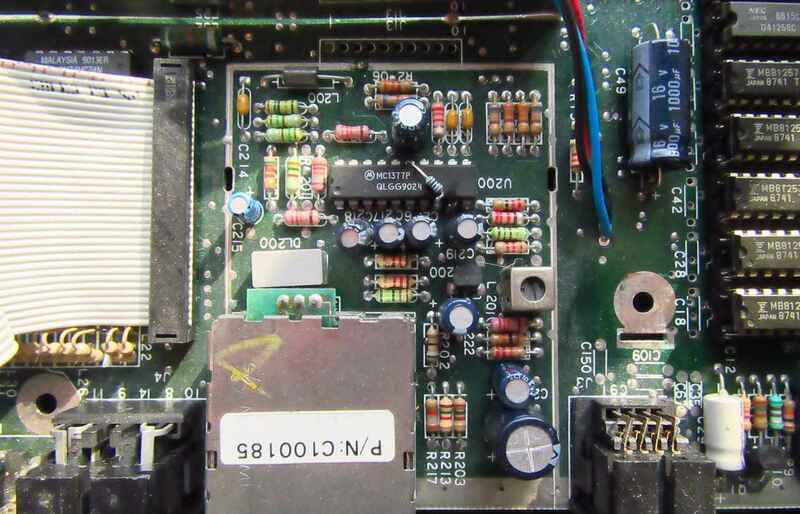 First that the electrolytic capacitors have finally failed causing a lot of issues, but also modern TV's do not like the "not very standard" voltages and timings the STFM puts out. It has been found that even the tolerances on some resistors in the video circuit can make or break a machine. So here is my current research on this video issue and what seems to have solved the issue. If anyone has this issue, please take a video, try the fix and let me know if it solves your problem. There are a few capacitor values, 10uF x3 ,1uF, 33uF, 100uF x3, 470uF.These should be updated with low ESR values (Kits will be available in my store). Once that is done, its possible the sync may not be perfect or result in a black flashing bar at the top of the screen. In this case soldera 2.7K resistor between pins 8 & 15. This may increase the brightness a fraction on the colours also.